Today’s high-rise buildings are a reflection of modern design and unique aesthetic values. Floor setbacks, special curtain wall systems and unusual roof treatments are a few of the factors our engineers contend with on a regular basis. Working closely with customers, they can quickly and accurately generate custom CAD drawings for each project. You’ll find our people are some of the most knowledgeable in the country on the application of construction hoist equipment. 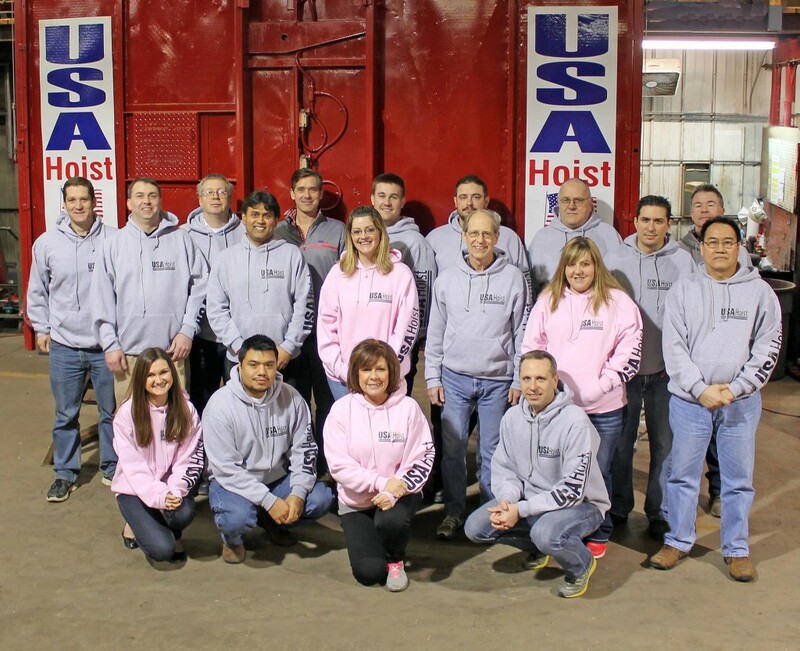 With nearly 50 years of experience, USA Hoist’s fleet is one of the largest, most modern and best maintained in the industry. We are proud to have supplied vertical transportation systems for construction of 10 of the world’s top 40 tallest buildings. Our 40,000 sq. ft. facility located on five acres in Crest Hill, IL includes a complete machine shop, sandblasting and paint booths, full manufacturing facilities, and acts as a staging area for our equipment. Please visit our Contact Us page to talk to us today!